Purple onions provide vitamin C and flavonoids, antioxidants that protect cells from damage. A few rings of purple onion give your sandwich a tasty crunch, but these burger toppers are more than just an easy veggie serving. Onions are the second-most important food crop in the world, and the rich purple pigments of these onions make them a source of beneficial antioxidants. Early research shows that these flavorful veggies may prevent cell damage and offer protection against several chronic diseases. 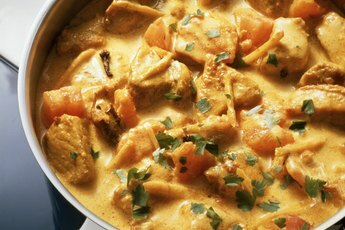 If you need flavor without extra calories, adding a serving of purple onions to your dish will do the trick. Purple onions, also called red onions, contain only 30 calories per 1/2 cup and no fat or sodium. One serving of purple onions provides 10 percent of your daily vitamin C, a powerful antioxidant that promotes wound healing and builds body tissues. 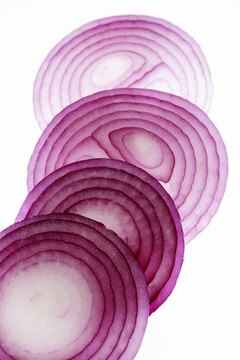 Flavonoids are pigments that give purple onions their bright color. These natural chemicals act as antibiotics and antioxidants, protecting the body from cell damage, inflammation and germs. A study by Cornell University revealed that onions are one of the top sources of flavonoids in the American diet, and purple onions contain more flavonoids than other varieties. Research published in “Gastroenterology” determined that onions may protect against gastric cancer, a disease that affects 21,000 people each year. The natural chemicals in onions may also offer health benefits for people with diabetes. 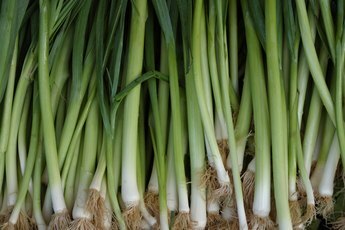 A preliminary study published in “Nutrition Research and Practice” determined that onions reduced cholesterol and triglyceride levels in diabetic rats, lowering their risk for heart disease. A study published in “Environmental Health Insights” determined that chemicals in purple onions controlled blood sugar in people with diabetes. More research will determine if the intake of purple onions in the average diet provides these benefits. Select purple onions that are firm and brightly colored. Purple onions have a milder flavor than other onions, so enjoy them raw or cooked. Throw a handful of chopped onions into your scrambled eggs in the morning. Add purple onions to salsa or pasta salad. Make a tasty chickpea salad with purple onion, chopped tomato, basil and Parmesan cheese. 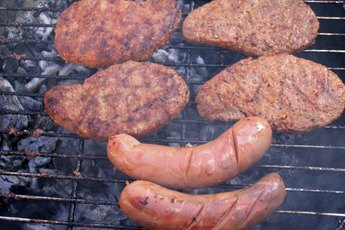 In the warmer months, toss a few rings on the grill for an easy sandwich topper. During the cooler months, roast purple onions in your oven with a little olive oil and garlic. 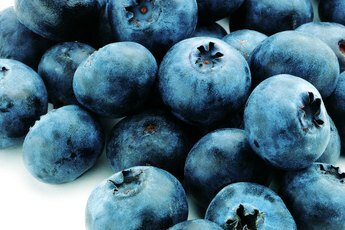 Are Blueberries Good for Your Lungs?